The Common entrance examination for the design (CEED) is the joint entrance examination at all India level for the various courses in design to be studied at the recognised Indian institutions such as IIT Bombay, IIT Delhi and IISc Bangalore. The visual perception and creative ability test study material, sketching, drawings etc are to judge visual sensitivity and imagination. 2. The candidate’s ability to express precisely one’s thoughts. 3. The candidate’s ability to comprehend a given passage in English and able to summarize it. The development of the new product, visual concepts and innovative ideas based on the analytical observation of problems from daily life situations. Generation of solution of a given material and process such as sheet metal work wood fabrication, wire fabrication, plastic moulding, etc are the visual representation of the visual concepts into visual symbols and form, aided with drawings and illustrations. The drawings are based on the analysis. The drawing skills are the Imagination of objects, people and places from our own immediate or distant environments. According to the analysis of the past few year’s sample question papers, the CEED syllabus is broadly categorised as below. The syllabus for the CEED is not broadly defined and is not published anywhere by the IIT Bombay. IIT Bombay has specified that no specific text book and guide is available for the preparation of the CEED examination. The candidates may refer to the previous year’s papers to know exactly the topics involved. 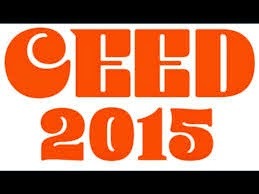 The CEED examination as mentioned is an all India level of examination which assesses candidate’s skills in the area of creativity, technical skills and analytical skills etc. The examination is held every year for the eligible candidates and can be applied through online in the GATE website. These examinations may be online or offline examinations and question modules can be described as follows. The various type of designing courses are given below which can be taken up once the CEED examination is cleared. 3. B. Design courses – contain subjects are fashion designing, Leather Designing, Accessory…etc. Kindly post your replay for "CEED Syllabus and General Description "